ICORD PIs Drs. 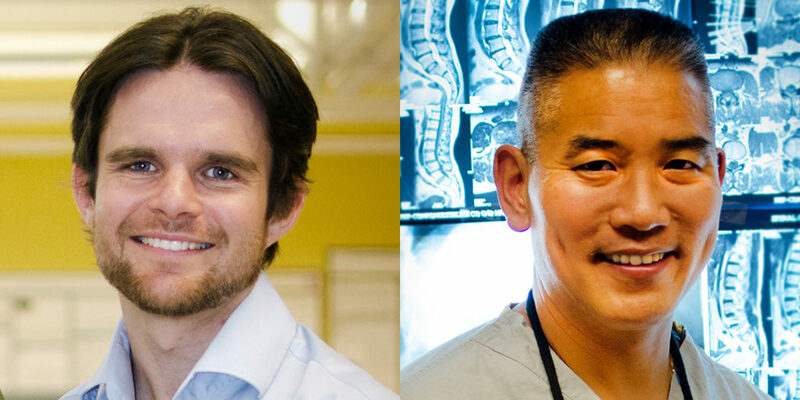 Christ West and Brian Kwon have been awarded US$1.926 million by the US Department of Defense to study how changes to heart function following SCI can impact mobility. Their study, Offsetting cardiac dysfunction in acute spinal cord injury to optimize neurological outcome, will explore how the heart changes immediately at the time of injury and during the first hours-to-days after SCI. They will also investigate whether increasing the function of the heart improves spinal cord blood flow and motor outcomes. Dr. West originally investigated a new model of changes to the heart following SCI in a project funded by a BICP Seed Grant. While it was previously thought that physical activity and gradual metabolic changes led to changes in heart function following SCI, Dr. West showed that some of these changes were immediate, and resulted from damage to the nervous system. While current practice is to increase blood pressure in all patients with SCI to the same threshold, Drs. West and Kwon aim to demonstrate in their new study that individualized treatment could lead to better patient outcomes. Determining how the heart changes after SCI is the first step in assessing whether increasing heart function prevents loss of movement in people with SCI. This research is being funded through a Translational Research Award by the United States Department of Defense Congressionally Directed Medical Research Programs, Spinal Cord Injury Research Program. The SCIRP was initiated in 2009 to provide support for research of exceptional scientific merit that has the potential to make a significant impact on improving the health and well-being of military Service Members, veterans, and other individuals living with spinal cord injury. The TRA specifically focuses on supporting research to accelerate the movement of promising ideas into clinical applications.